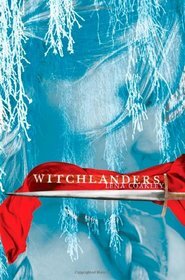 I first heard about Witchlanders on Twitter and, after reading a glowing blog review (wish I could remember whose! ), I instantly added a copy to my nook for future reading. I had actually forgotten exactly what Witchlanders was about when I finally did open it up to read. I expected young adult paranormal romance or something similar. Instead I found myself reading a high fantasy novel, set in a different world. It wasn't quite what I was in the mood for, but once I stepped into the world of the Witchlanders and Baen, there was no looking back. You have two young men on opposite sides of an old rivalry. Their two people had once been at war and now have a begrudging peace held by such a thin fraying thread that it can't possibly hold. Ryder is a Witchlander. He is skeptical of his own people's beliefs in the Goddess and the blind faith the people put in the witches and their prophecies. Then there is Falpian, the Baen, sent to the mountains on a secret mission he is even anaware of under the guise of praying for his dead brother. Ryder and Falpian's fates come together in an unexpected way when Ryder's village is threatened. Full of magic and conflict as well as confronting one's own beliefs and testing the limits of loyalty and friendship, Witchlanders has a little bit of everything. The novel is rich in culture and heart. I cannot believe this is a first novel. It is beautifully written, the characters well fleshed out, the world amazingly crafted . . . What more is there to say? I could go into more detail, but you're wasting time here. Go read the novel. What are you waiting for?! You can learn more about Lena Coakley and her novel on the author's website. You lost me when you said it's high fantasy. My mind just doesn't work that way. I find the premise of this book very intriguing, and hadn't heard of it before. It sounds like something I would like, and since I have discovered that I do like high fantasy, I think I am going to add this one to my list. Thanks for the great review! I heard about this book earlier today and added it to my wish list. I am looking forward to it! I'm so excited to read your glowing review of this one! It just showed up in my Junior Library Guild order for my school so I will be reading this one for sure? I almost brought it home to read over the holidays too! This is the first I've heard of this one and it sounds wonderful! It's def. going on the wish list. I haven't heard of this one before, but it sounds interesting. I like fantasy almost as much as mystery! I haven't heard of this before now, and thanks to your rave review, it goes on my to-buy list!! It does sound very interesting. Thanks! Heather - I do hope you get a chance to read it. You always have such insightful reviews, and I'd love to hear what you think of this one. Kelly - I'm surprised more people haven't heard of it. It's so good. Samantha - Please do! I think you'd like it. Staci - It's a great addition to your school library, I think! Let me know what you think when you get to it! Kathy - I imagine fantasy isn't for everyone, Kathy. There's plenty of other types of books out there to read, right? Kris - Do give it a chance! Susan - I was really impressed with this one and am so glad I read it. I hope you will like it!